No one understands phishing emails and filtering like us. Make all your coffeeshop visits secure once again. Keep your employees on the sites they should be on. One password. More ease, more security. Peace of mind. 91% of successful hacking attempts start with phishing. 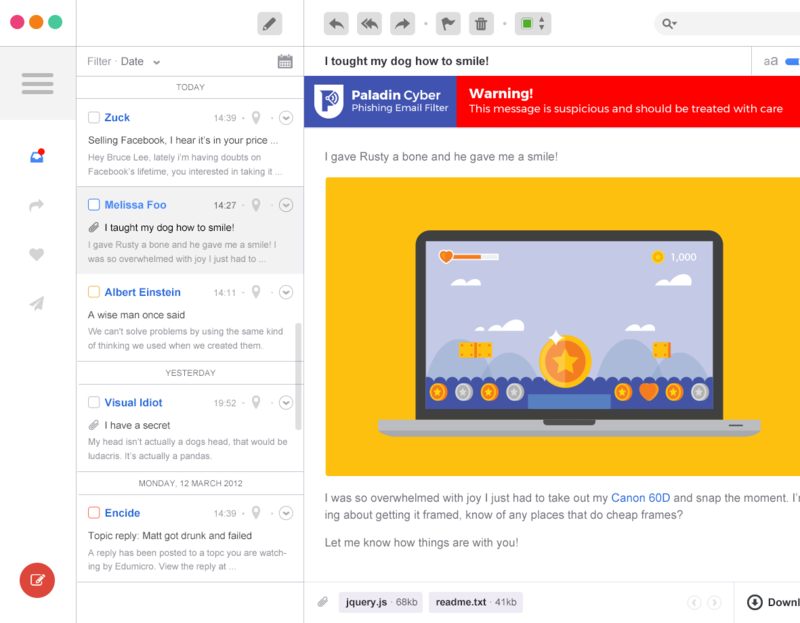 We protect your inbox by calling out malicious attacks so you don't get hacked. Our non-intrusive user experience provides a seamless integration with Google and Microsoft. You’ll only notice it when a potential attack hits your inbox. We constantly monitor the web for malicious emails to keep you safe. The more emails you report the better we protect you. Coffee shops have hackers lurking behind every cappuccino. 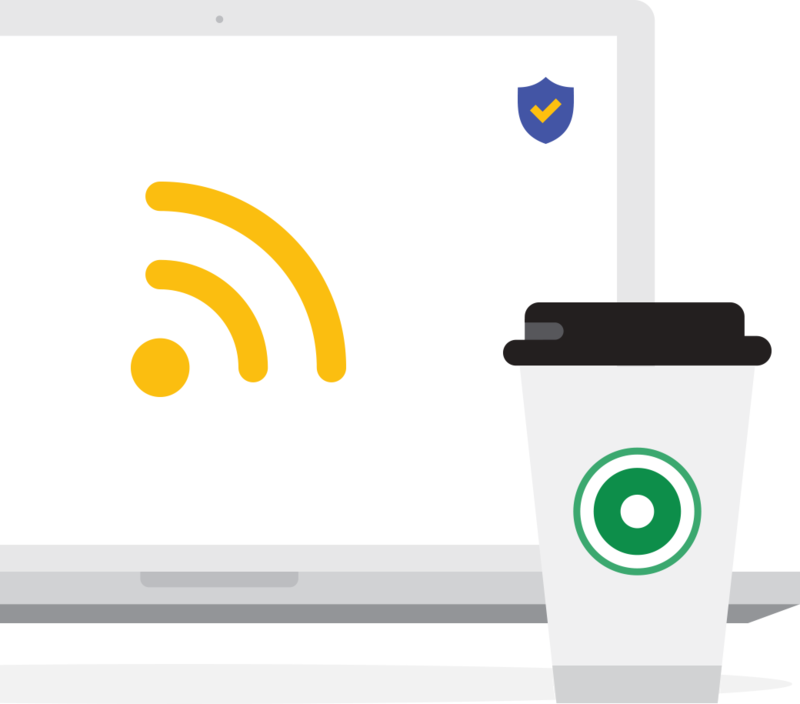 Stop the bad guys with Paladin's ultra-secure wifi protection. 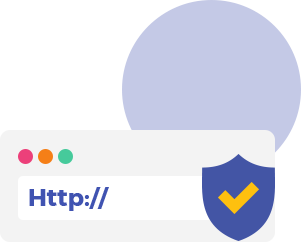 If you click a malicious link leading to a phishing website we will catch it and redirect you back to safety. We encrypt all your data before it goes to the router, then route it back through our servers, leaving you clear of any danger. 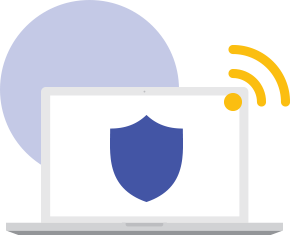 68% of public and unsecured wifi users fall victim to an attack. Keep your employees focused on the good stuff and protect them from sites that are actually imitations of the real website. 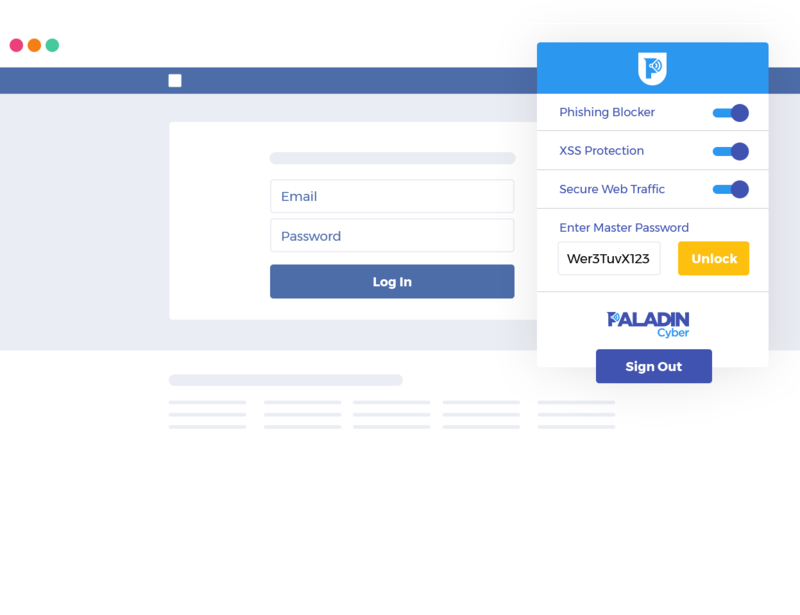 The filter prevents users from accessing all phishing websites along with non-work appropriate sites. 99% of known threats are blocked by our filter. An XSS script attack can steal your company's information or even destroy your database completely. And you won’t even know until it’s too late. 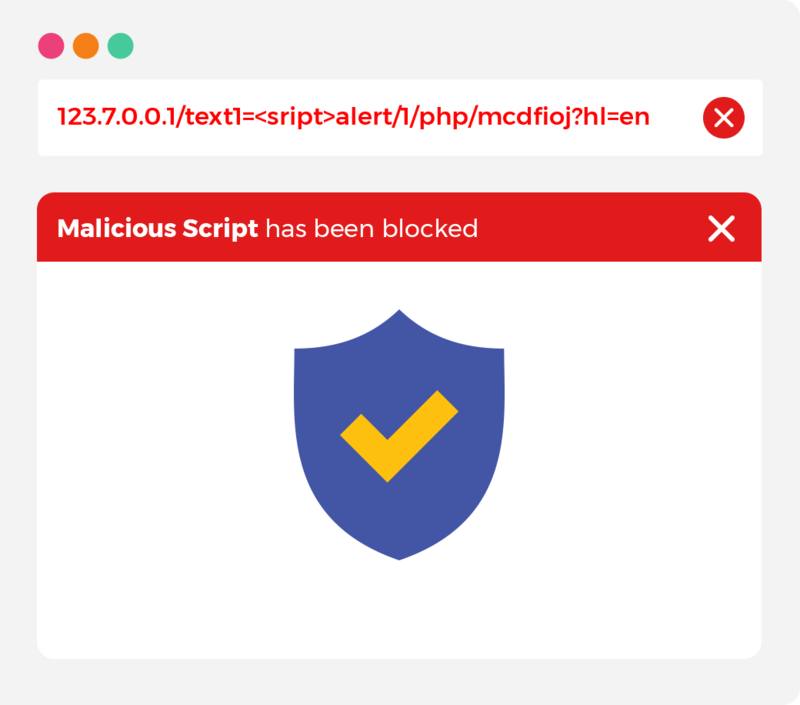 A script attack allows a hacker to transfer malicious code right through a normally visited website. It’s the 3rd most prevalent vulnerability, and affects up to 50% of websites. We stop them dead in their tracks and report back to Paladin and the authorities to take them down. 65% of employees use a single password among all applications, so when one login is breached, they all will be. We allow employees to still use a single password. Now it's a master password to unlock their vault, locking their logins safely away and allowing for one click logins. 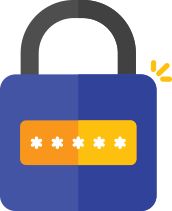 We even generate secure passwords to replace weak ones. 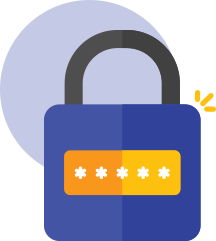 One password, more ease, more security.